In 1928 Al“Scarface” Caponebecame the first big-time mobster to journey to Miami and stay, at least for part of the year. Capone was at the pinnacle of a criminal career that was making him the most famous gangster in America history. By the late 1920s, Capone’s flamboyant style had captured the imagination of mainstream America, and he was a high-profile celebrity, just like the famous athletes and movie stars of his day. Born on January 17, 1899, to Italian-American parents, Al grew up on the mean streets of Brooklyn. At 5’ 10’ tall and 225 pounds, the beefy gangster was a born street fighter. More than a few times Capone ended up in a vicious knife fight, which explains how Capone got his nickname. Tough men could wet their pants in his presence, knowing Scarface could have them killed with an eye blink. Capone’s criminal career soared when he came under the wing of Johnny Torrio, one of the bright lights in New York City’s criminal world, who taught him the ropes of the gangster life. Around 1915, Torrio moved his operations to Chicago, where his uncle, Big Jim Colosimo, was the godfather of organized crime. Meanwhile, back in New York City, Scarface had brutally killed a man in a brawl. Fearing arrest by the police, Capone accepted Torrio’s invitation to come to Chicago, and in 1919, he headed west with his wife and child. About a year later, Al’s brother Ralph followed him to Chicago, where the Capone family shared an apartment while the brothers worked for Torrio in the vice trade. The Capones arrived in the Windy City at about the time Prohibition became the law of the land. Colisimo’s extensive vice, gambling and labor racketeering operations made him Chicago’s leading gangster. Big Jim was a large man and an imposing presence who liked to flash his wealth, especially the many expensive diamonds he wore. The ambitious Torrio prodded Colisimo to take advantage of the lucrative opportunities that Prohibition provided. Buy breweries, begin setting up illegal stalls and establish a bootleg distribution network, the nephew urged his uncle, but to no avail. Big Jim was content to make his money the old fashion way: through, gambling, extortion, and so forth. For Torrio, Uncle Jim had become a roadblock to his ambition and he had to go. Torrio remained in charge until January 1925, when some fellow Italian American gangsters shot and nearly killed him. The godfather survived but decided he had enough of the gangster life. He retired and moved to Italy with his elderly grandmother. At 25 years of age, Al Capone was now head of Chicago’s biggest gang. The young gangster rose to the occasion. Two years later, The New Yorker magazine was calling him “the greatest gang leader in history.” The authorities suspected that he was behind numerous murders and were certain he operated several successful speakeasies and prostitution rings, but they could not prove anything. Capone cleverly portrayed himself as a civic leader and family man who looked out for the poor and led his neighbors to believe he worked as a second-hand furniture dealer. In late 1927, Big Bill Thompson, Chicago’s mayor, embarked on a cross-country tour in the hope that he could drum up support for a possible presidential bid. Thompson was an unpredictable, eccentric character. During the 1927 mayoral election, Thompson held a debate between himself and two live rats, which he portrayed as his opponents. Al Capone had supported Thompson’s bid for mayor and probably played an important role in helping him win, but when Big Bill took office, he announced his intention to clean up the Windy City of vice and crime. The press conference was a diversionary move. Scarface had actually headed for Los Angeles. The Chicago police, however, were on to Scarface and they tipped off their Los Angeles colleagues. Capone tried to register at the swank Biltmore Hotel, but the manager had the temerity to ask the most dangerous gangster in America and his entourage to leave. Scarface blew his top, tried to intimidate the manager, and when that did not work, told the manager to stick it. The Chicago police warned Scarface he was not welcome back in Chicago. Given the heat, the gangster thought it best that he begin looking for a temporary sanctuary. He visited the Bahamas, New Orleans, and St. Petersburg, Florida, but holing up in of those locales did not seem like a good move. 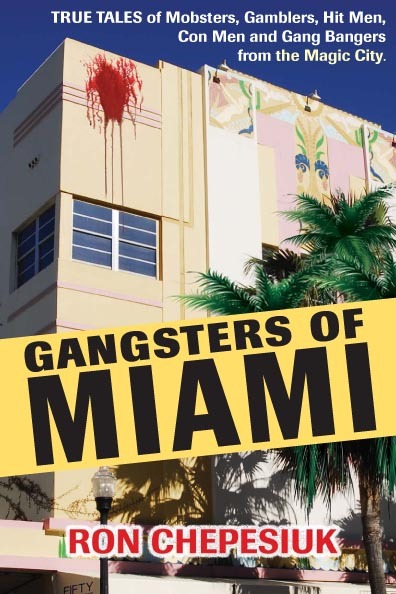 It did not take long for Miami to learn of the famous gangster’s arrival. A Mrs. Sterns owned the property that Capone had rented through her real estate agent. The woman was dismayed to learn that her tenant, A. Brown, was actually none other than the legendary gangster from Chicago, Al Capone. She waited anxiously through the winter season fully expecting the mobster, his family and associates to turn her property into an animal house. But after the Capones left and she inspected her property, she was surprised to learn that her tenants had done no damage. Indeed, they had even left her gift sets of fancy chinaware and silverware, as well as several unopened bottles of wine. In addition to the beach bungalow, Capone rented a suite on the top floor of the nine-story Ponce de Leon Hotel in downtown Miami. Scarface befriended 24-year old Parker Henderson Jr., the hotel manager, whose father had once served as Miami’s mayor. The young man became Scarface’s gofer and helped the mobster get money when he needed, thereby keeping the local authorities in the dark about the mobster’s finances. John Kobler, Capone biographer and the author of Capone: The Life and World of Al Capone, described how the arrangement worked: “From Chicago, one of Capone’s associates would send a Western Union money transfer to “Albert Costa,” an alias adopted for that purpose. Henderson would then trot down to the Miami Western Union office, sign in for the transfer, disguising his handwriting, cash it, and deliver the money to Capone.” Between January and April l928, Henderson collected $31,000 for Scarface in this manner. In Tallahassee, Florida’s capitol, Gov. Doyle E. Carlton issued an order to all the sheriffs in the state, informing them that Mr. Capone was to be arrested on sight and tossed into the slammer. Capone hired Vincent Giblin and J. Fritz Gordon, two of Miami’s best lawyers and later to be circuit court judges, and the legal battle was on. Capone held a press conference where he tried to charm Miami’s city fathers. Capone showed why he had reached the pinnacle of Chicago’s criminal underworld. The godfather waxed lyrical about Miami, hailing it as “the garden of America, the sunny Italy of the New World” and announced his intention of buying a home. Moreover, he hinted, many of his friends may come to Miami and bring money with them. If permitted, he would open a restaurant, and if invited, join the Rotary Club. Cox recalled how one day a well-dressed man walked into his office and laid a $500,000 check down on his desk. It was to be the first payment on the purchase of Cox’s Miami Daily News newspaper for $5 million. “The property was not worth that amount at the time, and there was not the slightest doubt in my mind that Capone interests were behind the offer,” Cox wrote. He rejected the offer and the emissary left without incident. Scarface used Parker Henderson as a front man to buy a permanent residence: a $40,000, 14-room Spanish style bayfront estate at 93 Palm Avenue that beer brewer Clarence Bush had built in 1922. Henderson took the property in his own name and then leased it to Capone. Capone gave Henderson $2,000 as a binder and soon gave him an additional $2,000, the first of four annual payments. Amid the controversy, Capone settled in to his PalmIsland estate and began enjoying his time in the MagicCity. He drove around the area with his bodyguards and associates in his seven-ton armor plated limousine. He golfed and played tennis, although he was not good at either. He was known to go into a rage and smash his racket or club. The mobster spent much of his time at the Palm Island Club, where he had acquired a quarter interest, and the gambling room of the Villa Venice, a 14th Street gambling casino where he retained a controlling interest. He also liked to frequent a SouthBeach dog track and the Fleetwood Hangar Room. While enjoying his time in Miami, Capone did not neglect his business interests in Chicago. Even though Scarface was the Windy City’s most powerful gangster, there were times when he had to show the criminal underworld who was the boss. In 1929, Capone was still involved in a vicious gang war with his most dangerous rival, George “Bugs” Moran, the boss of the North Side Gang, formerly headed by Dion O’Banion until he was murdered at his florist shop in 1926. Bugs had no doubt who killed his former boss and he had been trying to whack Scarface ever since. On one occasion, James “Machine Gun” McGurn and several other associates of the Capone gang drove six cars past a hotel in Cicero, Illinois, a Capone stronghold, where he and some of his men were having lunch, and sprayed the building with more than 1,000 bullets. On the morning of February 14, 1929, Moran sent six of his gang members to a garage on Chicago’ North Side to pick up a liquor shipment that highjackers were ostensibly offering at a fantastic price. It was actually a trap financed by Al Capone and planned by his associate, Machine Gun McGurn. While Moran’s men waited inside for the shipment to arrive, a Cadillac carrying four men dressed as policemen and accompanied by two men in civilian clothes, arrived. “The policemen told the six waiting gangsters and a mob hanger on, who, unfortunately for him, happened to be at wrong place at the wrong time, to line up against the wall and keep their hands in the air. Believing the gunmen to be police officers, the seven men did as they were told. The phony policemen produced guns and opened fire. When the shooting stopped, the blood-splattered bodies of Moran’s men lay on the ground. Six of them were dead; Frank Gusenberg survived and was taken to hospital where he died after refusing to identify the gunmen. While the most spectacular gangland slaying in mob history was going down in Chicago, Scarface was 1,300 miles away at a party at his Palm Island estate, providing him with a perfect alibi, at least as far as connecting him to direct involvement in the St. Valentine Day’s Massacre. Attending were 100 guests from all walks of life—gamblers, entertainers, sportsmen, gangsters and politicians—many of whom had come to Miami for the championship boxing match between Jack Sharkey and Young Stribling. The guests feasted on an elaborate buffet and drank expensive champagne served by Scarface’s bodyguards. After the party, Scarface met with the Dade County solicitor, and answered questions about the St. Valentine’s Day Massacre in Chicago. Eventually, Capone testified about the killings before a Cook County grand jury, but he was never indicted. Meanwhile, he increased his security staff in Miami from 10 to 20 bodyguards. In May and June 1930, Miami’s political establishment and business leaders did their best to try and force Capone to leave Miami. Proceedings were held in private in the Dade County Courthouse, where a parade of prominent Miami citizens testified about what a menace Scarface was to Miami. The first witness, “Midwife” Carl Fisher, who had lost a fortune in the 1929 stock market crash, claimed Capone’s presence in Miami depressed property values. The witnesses who followed were just as unconvincing as Fisher. As Stephen C. Bousquet pointed out in a 1998 Florida Historical Quarterly article: “Under sharp questioning by Capone’s attorneys, many (of Miami’s high powered witnesses”) testified that they had never actually seen Capone and could not provide eye witness accounts of illegal acts. Most of those who testified, in fact, had formed their opinions of Capone solely based on news accounts.” On June 14, 1930, the judge threw out the petition to kick Scarface out of Miami, ruling that nothing in Florida state law allowed for the expulsion of someone from a city simply because its good citizens thought that a particular person was undesirable. But Capone’s luck had started to run out. In 1929, he was arrested in Philadelphia for carrying concealed weapons, and within six hours, he was sentenced to one-year prison term. 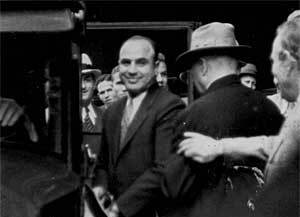 Nine months later, on March 17, 1930, Capone was released for good behavior. By now, Capone was having a problem of a different kind. He, like other gangsters from the 1920s, believed that the money made from illegal gambling was not taxable income. In 1927, however, a court ruled that gambling profits could indeed be taxed. Capone had cleverly avoided a paper trail when it came to showing how much money he had raked in from his criminal activities. He kept nothing in his own name, filed no income-tax returns and declared no assets or income. Front men did all of his business for him. But Scarface was not as clever as he thought. The Internal Revenue Service went to work, and in 1931, a Chicago court indicted Capone for income tax evasion covering the years 1925 to 1929 and for failing to file tax returns for the years 1928 and 1929. Uncle Sam charged that Capone owed $215,080.48 in taxes from his gambling interests. A third indictment charged Scarface with violating the Prohibition Law from 1922 to 1931. Capone pled guilty, mistakenly believing that, by doing so, he could plea bargain the charges. But when James H. Wilkerson, the presiding judge, said there would be no deal, Capone then changed his appeal to not guilty. He also tried to bribe the jury, but the judge changed the jury panel at the last moment. Scarface ran out of moves, and he was found guilty on 18 of the 23 counts. Judge Wilkerson sentenced Scarface to 10 years in federal prison and one year in county jail. Capone also had to serve a six-month contempt sentence for failing to appear in court. In May 1932, Scarface was sent to the Atlanta Federal Penitentiary, the country’s toughest federal prison, but he corrupted the prison authorities and was able to live comfortably. Among his accoutrements were a mirror, typewriter, rugs and even a set of the Encyclopedia Britannica. Later, Capone was sent to Alcatraz where security was tighter and the system treated him like a typical prisoner. In December 1938, prison officials at Alcatraz revealed that Capone was suffering from Peresis (brain damage caused by syphilis) and was now a mental patient. No one knows for sure how Capone contracted syphilis, but it is believed he got the disease in Chicago from a prostitute before he was married. On January 17, 1939, Capone’s 40th birthday, prison officials transferred Scarface to Terminal Island Penitentiary in Los Angeles. On November 16, he was released from custody and sent to a Baltimore hospital for brain treatment. After his release from the hospital, Capone was brought to his Palm Island home in Miami, where he lived a reclusive life with his close family members. He would only leave his estate on special occasions, such as his son’s marriage at St. Patrick’s Church on Miami Beach. On January 21, 1947, America’s most famous gangster collapsed from a brain hemorrhage. Six days later Capone died; he was 48 years old. Miami’s unwanted citizen was buried in plot 48 in Chicago’s Mount Olive Cemetery before a small group of mourners. Ron Chepesiuk (dmonitor1@yahoo.com) is award winning freelance investigative journalist and documentary producer. He is a two-time Fulbright scholar to Bangladesh and currently Indonesia and a consultant to the History Channel's Gangland documentary series. 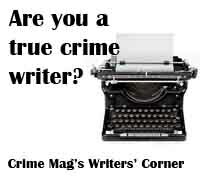 His true crime books include Drug Lords, Black Gangsters of Chicago and Gangsters of Harlem. His two forthcoming books include The Trafficantes: Godfathers from Tampa, FloridaThe Mafia, CIA and the JFK Assassination (an e-book in February, 2010) and Sergeant Smack: The Lives and Times of Ike Atkinson. Kingpin, and his Band of Brother (June 2010).